With fortnightly debates taking place on a Friday lunchtime, a wide range of topics were explored and debated this year. From doping in sport to Donald Trump, and compulsory voting to veganism, the Debating Society has, indeed, covered many political and ethical issues this year, and has continued to attract members. In fact, we even welcomed some new Dalriada staff members on various occasions throughout the year as they popped in to question, challenge and offer insightful contributions in relation to the issues being discussed by the House. In October, after little over a month of preparation (and many gruelling after-school sessions! ), Dalriada entered a team of four debaters into the annual UK-wide Debating Matters Competition. The team competed in the Qualifying Round at Queen’s University Belfast against a number of Northern Irish schools, having prepared two motions: ‘The TV Licence Fee should be abolished’ and ‘We should permit the use of performance enhancing drugs in sport’. Despite a valiant effort in the Opening Round by debaters Ben Kidd and Jack Hall, in a closely contested debate, the opposing team from Methodist College, Belfast, emerged as the winners and thus ended our progression in the competition. However, despite this loss, both Ben and Jack, alongside fellow team members, Rachel Hastings and David Linton, agreed that the competition was a very valuable experience and were grateful for the opportunity to compete. They also expressed their gratitude towards their fantastic mentor, Miss Turner, and also to Dr Hunter who offered up lots of insightful critique and accompanied the team with Miss Turner to Belfast for the competition. Dalriada has enjoyed great success in the Debating Matters Competition in previous years, having made it to the Final of the Regionals only last year, and so the team are determined to re-establish themselves as contenders in 2016-2017. 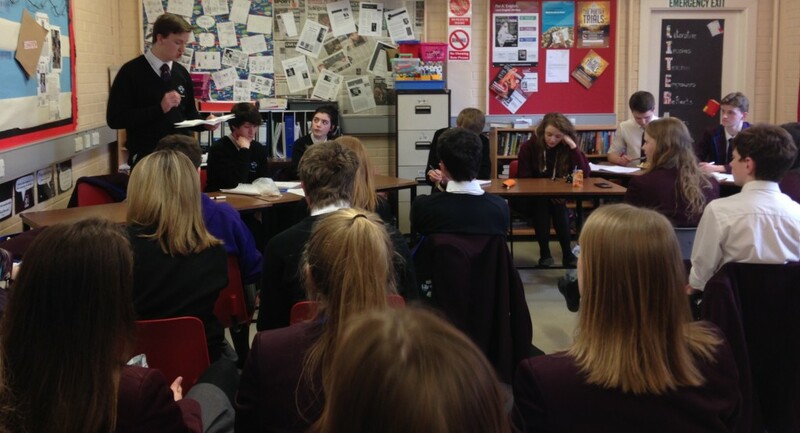 Back in school, this year saw another successful charity debate in co-operation with World Aid Group in March. Debaters Beth Patterson and Rebecca McCauley of the Proposition, and Timmy McGurk and Peter Emerson of the Opposition, took on the motion ‘This House believes students learn more from YouTube than they do in school’ in order to raise funds for a very worthy cause! It was an interesting debate to say the least! The annual – and much anticipated – Wreath Cup in-house Debating Competition brought the Society’s activities to a close at the end of April. This involved a series of lunchtime debates, structured as heats, culminating with a final debate on Thursday 29th April. Throughout the week we saw some fantastic debating talent, showcasing what ultimately drives the Society’s success. 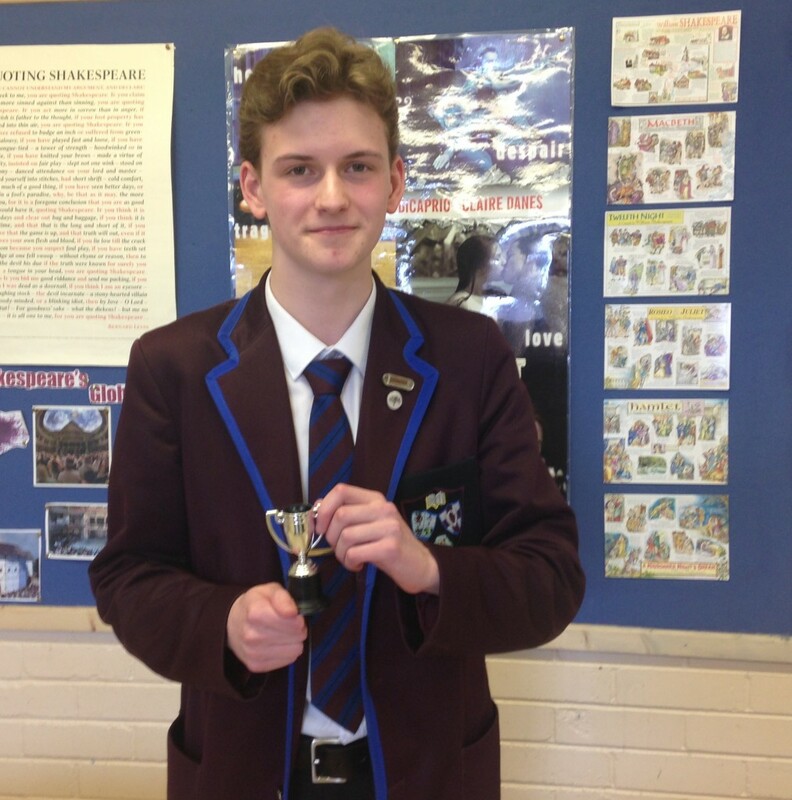 Tightly fought heats – involving pupils in Years 11-14 who debated on topics such as the glass ceiling, beauty over brains, and ‘selfies’ – resulted in an excellent Final where Benedict Anslow (next year’s Debating Society President) was awarded the Cup for Best Senior Debater after convincing the House NOT to ‘Go Vegan!’. Benedict impressed and entertained the judges throughout the week; however, his argument in the Final was meaty, ‘amoosing’ and really ‘eggscellent’! It has certainly been another very successful year for the Debating Society who welcome any pupil in Dalriada who has an interest in debating or the topical issues impacting upon our world today! Speaking from personal experience, it is fantastic opportunity to develop your voice and confidence as a speaker and hone your ability to form persuasive arguments, a skill which proves to be hugely transferable. I would, therefore, like to end by encouraging pupils to join us in the Senior Debating Society in the future; Miss Turner and next year’s president, Benedict Anslow, will be eager to welcome you! The Arguendo Cup for an individual’s contribution to the Debating Society was awarded to Jack Hall this year; he has worked tirelessly throughout 2015-2016 as the Society’s President: organising, chairing, and fundraising. You’re efforts have been much appreciated, Jack. Thank you for all your hard work. Miss Turner would like to end this academic year by thanking every member of Dalriada’s Debating Society for their contribution to another wonderful year of debating! She is already looking forward to next year!